Some time before 1877 Karonga existed as the stronghold of Mlozi, a famous Arab slaver. In 1883 a British trading post, which formed the basis of the modern town, was opened there. British explorer Sir Harry Johnston bought the post in 1895 and ended the slave trade on Lake Nyasas western shore. At this point Karonga became an important commercial and agricultural center. According to Lonely Planet, the town "still bears a strong Swahili-Arab influence today." A recent discovery of pre-historic tools and remains of hominids in Malawis remote northern district of Karonga provides further proof that the area could be the cradle of humankind. Professor Friedemann Schrenk of the Goethe University in Frankfurt told Reuters News that two students working on the excavation site in September, 2009 had discovered prehistoric tools and a tooth of a hominid. "This latest discovery of prehistoric tools and remains of hominids provides additional proof to the theory that the Great Rift Valley of Africa and perhaps the excavation site near Karonga can be considered the cradle of humankind." Schrenk said. The site also contains some of the earliest dinosaurs which lived between 100 million and 140 million years ago and early hominids believed to have lived between a million and 6 million years ago. The discovery was at Malema excavation site 10 km (6.2 mi) from Karonga. In terms of more recent prehistory, Karonga has an abundance of Pleistocene and Holocene archaeological materials dating especially to the Middle and Later Stone Ages, as well as the Iron Age. On 11 July 2008 the Kayelekera mine in Karonga celebrated 1.5 million hours of accident-free uranium mining. "Analysts" claim this is a rare achievement. The mine was previously met with controversy due exposing people to radiation. In December 2009 the area suffered a series of earthquakes. 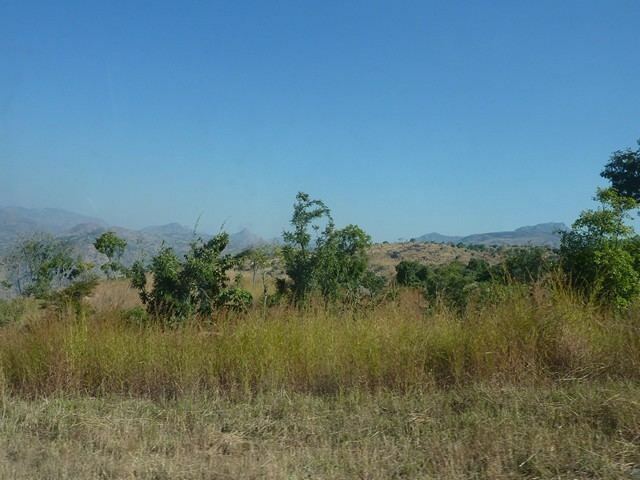 Karonga is at an elevation of 1,568 feet (478 m) on the western shore of Lake Nyasa. It is situated 17.3 miles (27.8 km) away from Kenan Ngomba, 11 miles (18 km) away from Kaporo, 26.6 miles (42.8 km) away from Kilondo and 7.6 miles (12.2 km) away from Lupembe. The economy of the area is based on cotton, rice and maize production along the lake and on coffee and livestock in the west. Karongans are dependent on subsistence fishing. The Cultural & Museum Centre Karonga is Karongas most popular attraction. It is home to the Malawisaurus, a 150 million year old fossil discovered 45 kilometres (28 mi) south of Karonga. It displays an exhibit entitled "From Dinosaurs to Democracy", which chronicles the areas history.